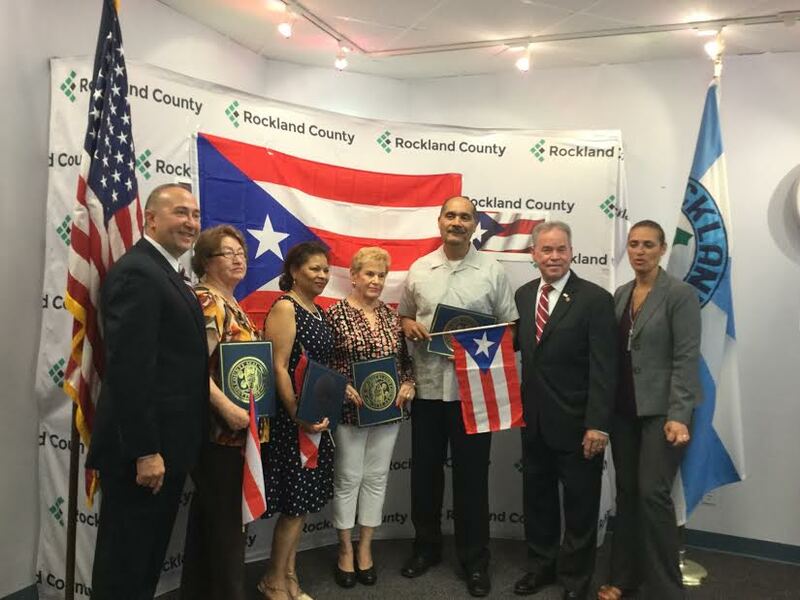 On June 22 Rockland County held a ceremony honoring members of Rockland’s Puerto Rican community for their contributions. The Puerto Rican community formed in Spring Valley in the late 1950s and later in the North Rockland area. People of Puerto Rican descent now live all over Rockland and comprise an important part of the county, Day said. He presented certificates of recognition to four people with roots in the North Rockland areas. County Executive Day also praised Rockland County Deputy County Executive Guillermo Rosa, a native of Puerto Rico and the highest ranking Latino official ever to serve in the county. Day praised the honorees for sharing the desire to make Rockland County a better place by making sure that everyone has access to opportunities and can live with a sense of security and belonging. Elizabeth Martinez of Garnerville has lived in Rockland County since 1989. She currently works at the Rockland County Career Center in Haverstraw assisting Rockland residents receiving unemployment improve their skills so they can get jobs. She has been a major help to the Hispanic community and is well regarded among her peers and those she serves. Virgin Torres of West Haverstraw who has lived in the county since 1959. She retired after working for many years as a sewing machine operator for Louis Hornick and Company in Haverstraw. She has been an active member of the North Rockland community and has served as a positive role model for many young people. Esther Vargas of Garnerville left Puerto Rico in 1962 and has lived in Rockland County since. She and her husband Rafael founded Vargas Services, an Insurance, Immigration and Tax company in Garnerville. Esther has volunteered for more than 30 years at the Rockland Psychiatric Center. She is active in the Haverstraw community and serves a leadership role in organizing various community events. Councilman Hector L. Soto, who was born in Puerto Rico and came to Haverstraw with his family when he was 14. Following high school, he joined the Air Force and did a tour of duty in Vietnam. After he was honorably discharged, he began his law enforcement career with Haverstraw Police Department and retired in 2007 after a highly decorated career. He has served as member of the Haverstraw Town Board since 2007.